Currently Listening: Tron – Legacy. | Pulp and Circumstance, Juiced. Currently Listening: Tron – Legacy. 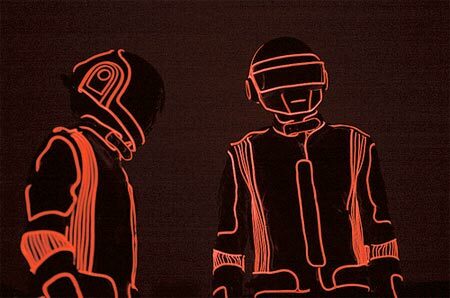 Of course, anything Daft Punk touches turns to gold. Their latest endeav0r–Disney’s Tron: Legacy soundtrack–has finally got a release date. The record will be out 9/22; get the details here. You can also stream their work for the film here. It’s filled with epic atmosphere and sonic prowess. This entry was posted in Currently Listening, jwolf and tagged daft punk. Bookmark the permalink. ← Currently Listening: All Night.